This stunning home certainly shows pride of ownership! Immaculately maintained! Main level features kitchen/dining area/great room creating open floor plan, along with a formal dining room & study. Wood floors throughout on main level. Granite kitchen counters w/sleek tile backsplash. 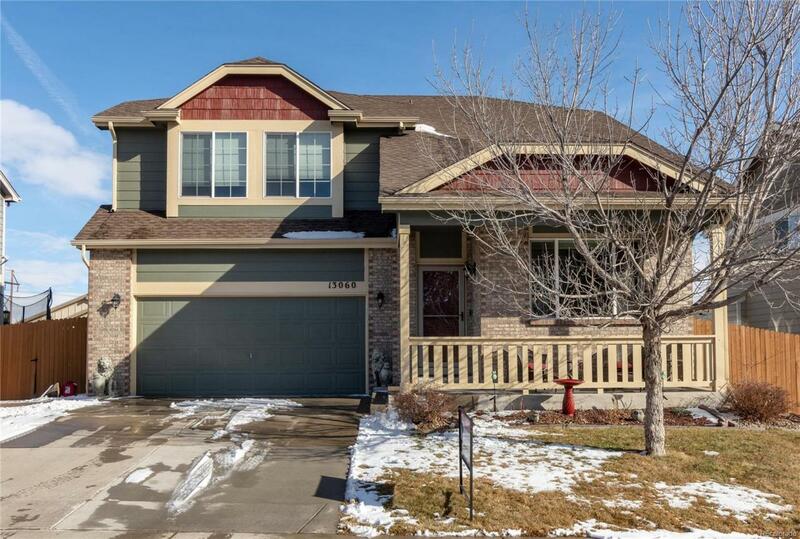 Lovely, spacious Trex deck w/stamped concrete walkway off the kitchen is perfect for entertaining & features built-in hot tub, fenced-in yard with gorgeous landscaping. Upstairs has 4 bedrooms, 2 full baths. Master has 5-piece bath, walk-in closet, room darkening blinds. Basement roughed in & offers many options. In 2018 home received new roof, fresh exterior paint, & newly stained fence. This west-facing home has an abundance of natural light. Plenty of storage space. Walking distance to schools, parks, playground, & extensive trails. Riverdale Golf Course is right around the corner! Police & fire station minutes away. Near shopping/restaurants, etc. Top Golf opening nearby this summer! Truly a must-see!